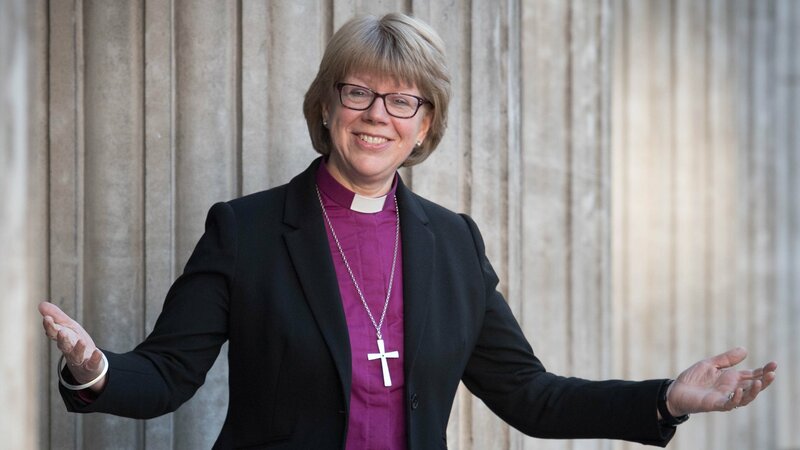 Bishop Sarah is a remarkable woman. She already has two successful careers behind her. What a wealth of experience to bring to the Church, and what skills and gifts! But her three careers all arise from a single vocation – she told us that she was called to walk beside people that they may have fullness of life. As a bishop her job is still to care for and tend her flock. We are blessed. She has the compassion and practicality of a nurse and as a senior civil servant has learned to speak with authority. She told us that she has dyslexia, and that she has difficulty with words which means that she must invest a lot into any speaking she does. Words are important to her, because for her, conversation is central. Her joy is to engage with people, to listen and to discuss. But she does pray for “the wisdom of words”, being aware that people do listen to what bishops say, and are often ready to misconstrue. She talked a lot about collegiality, which I think means more than corporate responsibility; she has a genuine desire to understand the other side. It is easier to talk to people of faith, even where we have differences because of the shared language and culture, than it is to talk to people of no faith. One of the challenges facing us is that we have generations of people who have had no exposure to church. So those difficult conversations need to take place, but with graciousness and kindness. There is much work to be done to demonstrate what the church can bring, and is trying to bring to the community in London. The churches are at the centre of so much in this city – food banks, credit unions etc, and we need this to be recognised. Yes, the Church is here, alive and working for the common good. For more information about courses and events at St Paul’s Cathedral, visit the Adult Learning section of the cathedral website here.